The instructions are for Microsoft Excel 2007 - 2013 versions. However, the data and chart can be recreated using any of the various Excel versions or even non Microsoft variants. I have used this successfully with 2nd and 3rd graders. 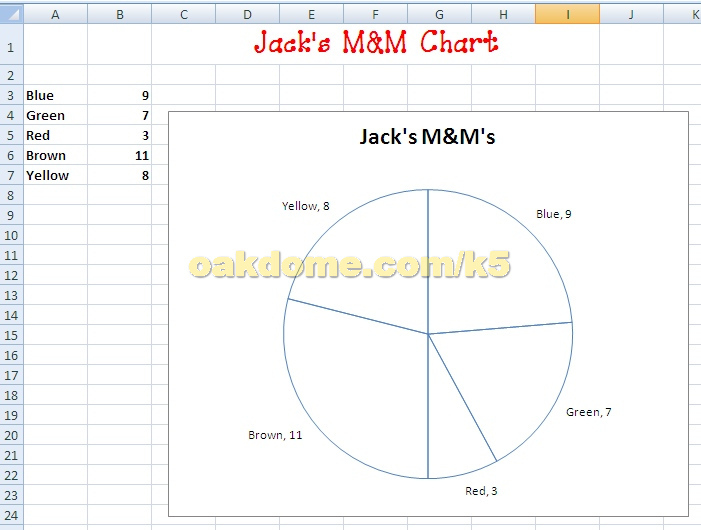 1) Formatting the chart by adding custom colors to the individual pieces. 2) Formatting the chart background with a custom color. 3) Using Print Preview to switch the print layout to landscape format. 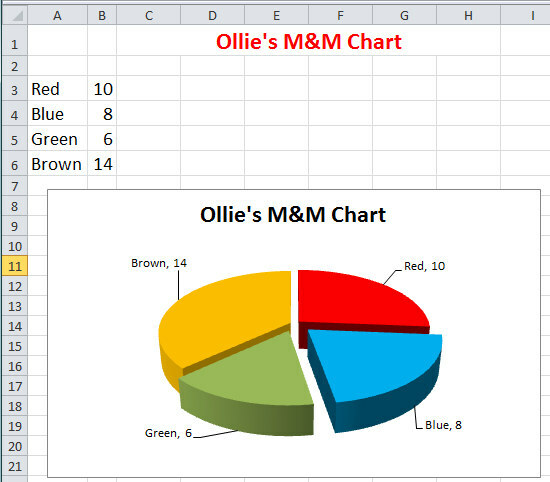 Follow these instructions to make your Excel M & M Chart. Enter your chart title in C1. Click in cell C1 and drag mouse to H1. In the Home tab, alignment group, find and apply "Merge and Center" to the title. With the title still selected, on the Home tab, Font group, apply a new font color, font size and font style. Enter the color labels in colum A starting with cell A3. Enter the M&M quantities in column B starting in cell B3. Click in cell A3 and drag mouse down to select all the colors down to cell A7. Continue to drag across to select all the numerical values on column B. Create a pie chart. Go to Insert tab > Charts group > Pie > 3D Exploded Pie. Format the chart. Click to select the chart. Go to Design tab > Chart layouts group > choose a chart layout that will produce numbers and labels on the pie pieces. Add a Chart Title. 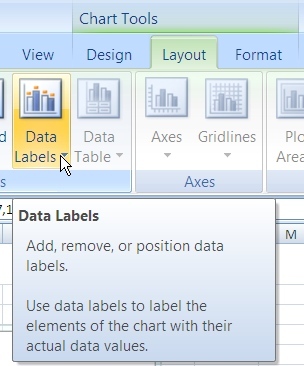 Click on the chart.Go to Layout tab > Labels group > choose Chart title "Above Chart". Enter your chart's title. Click once on the chart. Click a second time on an individual chart piece to select it for a color change. Right click on the selected chart piece and choose Format Data Point. Go to Fill > Solid Fill > Color. Choose a color for your chart piece. Repeat process for each chart piece. Deselect the chart. Go to Print preview. The chart may be partially cut off if it overlaps column I or J. Choose Page Setup and change the layout to landscape. Print. Click the chart to select it. Then Chart Tools > Layout > Data Labels. Click the chart to select it. 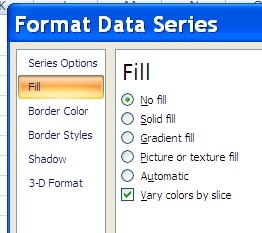 Right click on the chart and select Format Data Series. 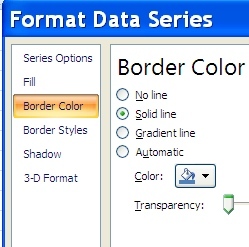 Choose Border Color and Solid Line. Choose Fill and No Fill.